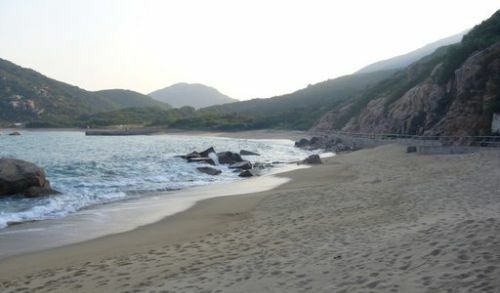 You can find here an easy to follow virtual guide to your Hong Kong Lamma Island journey. One of the most scenic spot and HK's well-known seafood place. The Hong Kong Lamma Island is an extraordinary place and full of extraordinary people. Located at a short ferry ride from Central, Hong Kong. This place is very peaceful and away from the bustle of one of the great financial centers of the world. There are many amazing facets to this island: the communities, ethnic & expatriate, the countryside with its mountains & beaches. Simple...All you need to do when you're heading towards Hong Kong Lamma Island is to get into the Central Ferry Piers at Central, Hong Kong and go to Pier 4 for Lamma Island Ferries. We start at your arrival in the Chek Lap Kok Hong Kong International Airport. Get on the Airport Express MTR Trains to bring you straight to the city. It is ideal to get an Airport Express Tourist Octopus Card (3-days Transport Pass, HK$220). This pass will give you one way 24 minutes ride of the Express Trains to Hong Kong Island, 3 days unlimited rides on the MTR and HK$20 worth on any other public transport. Pass worth HK$300 will give you same benefits, plus an Airport Express round trip ride. Get on the Airport Express Train for a 24 minutes trip to the city all the way to the last station - Hong Kong MTR Station which is adjacent to Central Station. And, if you are coming China and pass thru Lo Wu and want to go straight to Hong Kong Lamma Island, you should take the MTR train to East Tsim Sha Tsui station, 42 minutes ride(HK$36.5) then make a few meters walk to the Star Ferry Pier. Get on board to the Star Ferry for an 8 minutes Ferry ride to Central, Hong Kong Island(HK$2.20 - upper deck seat), and at Central Pier just walk thru Pier 4. Experience a part of Hong Kong usually enjoyed only by the locals. Explore Sok Kwu Wan, a typical fishing village on Lamma Island, to enjoy an 8-course seafood dinner, a real highlight for your evenings in Hong Kong. After dinner return to Hong Kong island, then take a short sightseeing trip to see Hong Kong's fabulous evening lights from the Mid Levels Lookout and bustling Causeway Bay. Take the sunset cruise on the Rainbow Star catarman to Lamma Island. Visit the Lamma Fisherfolk's Village to experience fisherfolk's lifestyle from bygone days. Enjoy Best of the Best Culinary Award-winning dishes in a delightful waterfront restaurant at Lamma Island. Enjoy unobstructed views of a Symphony of Lights after getting from hong kong lamma island, ranked the world's "Largest Permanent Light and Sound Show" by Guiness World Records, from on board the Catarman. Coach ride to the Peak for a bird's eye view of the Hong Kong Harbour and the City with its festive lights.